For all the celebrations and events of personal or corporate life, we’ll produce your card -- birthday, thank you, congratulations, good luck, get well, sympathy, thinking of you, and more. Choose from our templates or your own design, printed or blank envelopes, photo card or simply a printed message. 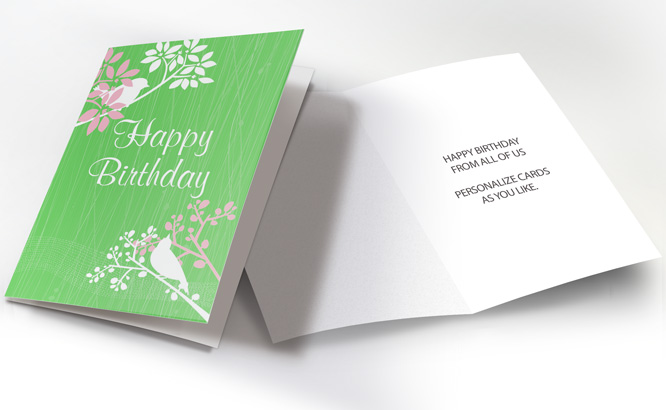 The option of a pre-printed signature and use of a corporate logo make our cards an easy choice.